Despite this being the first Valentines we're spending together in the same city we decided to keep the day very simple and cheap. We agreed not to buy each other presents, got each other free cards from Smiths using our O2 Priorities app and shunned over booked restaurants for dinner at home costing us a grand total of £7.50. All we want for our night is to spend time together in our flat eating mussels and chips followed by a cherry and almond dessert, away from the distractions of our mobiles and social media and snuggling up on the sofa watching DVDs. Every year my Facebook news feed is full of photographs of my friend's Valentines celebrations and some times it does feel like a bit of a competition. Who got the nicest piece of jewellery? Who got the biggest bunch of flowers delivered to work? Love isn't about presents or claiming in your Facebook status that your partner is more perfect than everyone elses. Now for the confession ... I caved and bought Simon a present, therefore I'm kind of contradicting a lot of what I've just said. What can I say - I'm weak! So I'm here to share it with you all as I think it makes the perfect present for so many occasions. 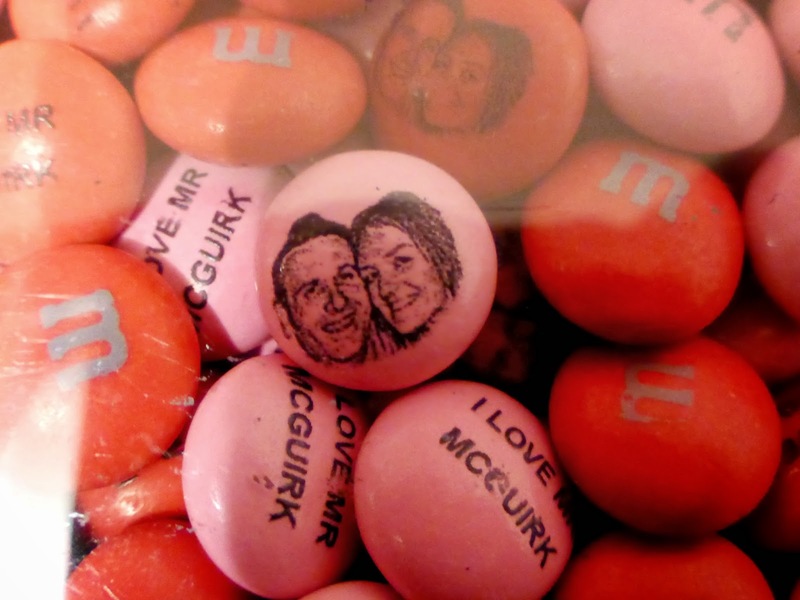 A fellow blogger I was talking to recently on twitter said she had ordered some for her wedding favours which I think is a fantastic idea. 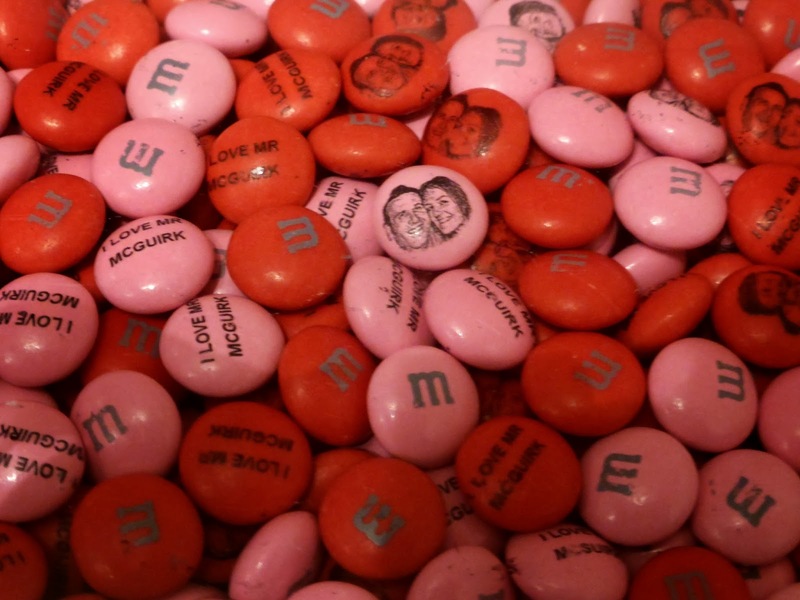 I'm talking about "My MMs" where you can personalise your own M&Ms with a picture of your choice. 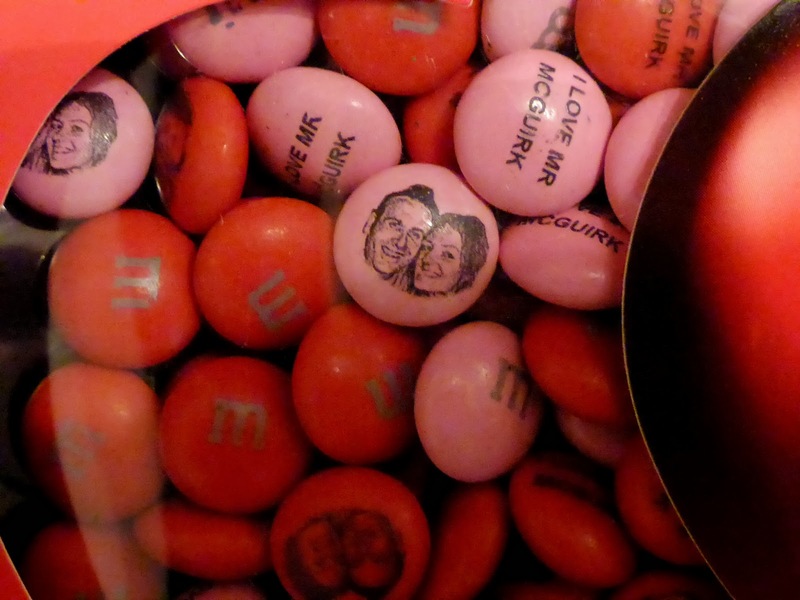 It's a great gift for the chocolate lover in your life and who doesn't want to see their face on their favourite candy treat? 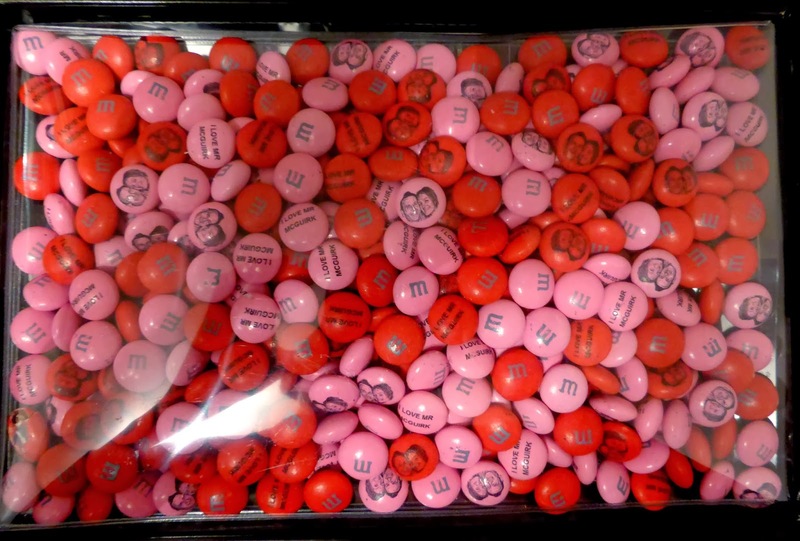 All you have to do is go to the website, upload a photo of whatever you like from your computer or Facebook account and then you also have the option of writing something profound to put on your sweets and picking your favourite colours. 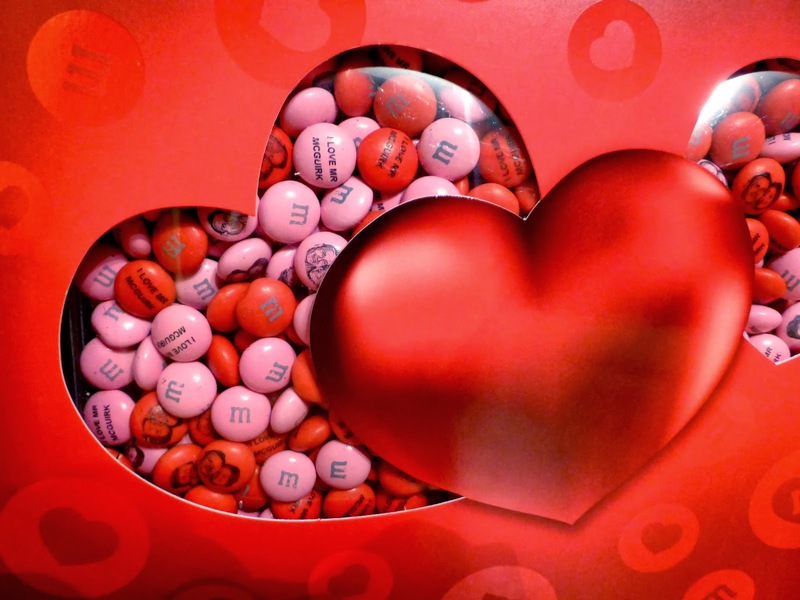 I chose to have mine and Simon's faces on his sweets and picked some Valentines packaging and, to keep with the theme, pink and red chocolates. The website has lots of different colours and packages to pick from including simple bags of sweets, birthday boxes and wedding boxes. I think they make such a lovely fun gift. Yeah that's exactly what I think some people are out to do ... very strange! These made me make an involuntary noise. Sort of like a squeal...sort of like a growl. Awesome gift. This is soooo sweet!! 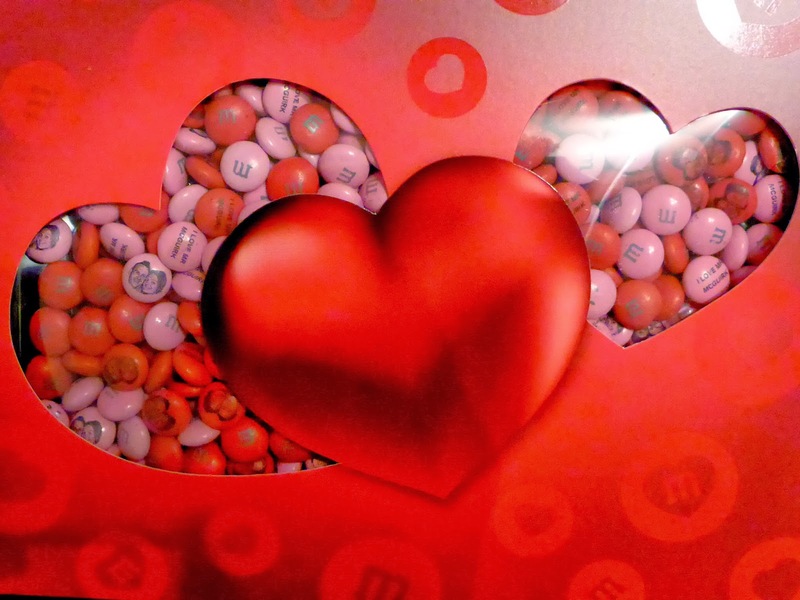 I love love too, and very cheesily I love Valentine's day. It's kind of like a second Christmas for me!! Have a lovely day. Aw! I hope he liked them. I think they're a great idea for any occasion. I hope it continues for a while. Though a tad on the expensive side.. These are amazing! I've been playing around with new baby ones and now I'm trying to convince myself that I don't need them! We usually go out for a meal on valentines day but with a 4 day old baby it completly passed us by this year! I should imagine you had a lovely evening just looking at her ... she's so adorable!